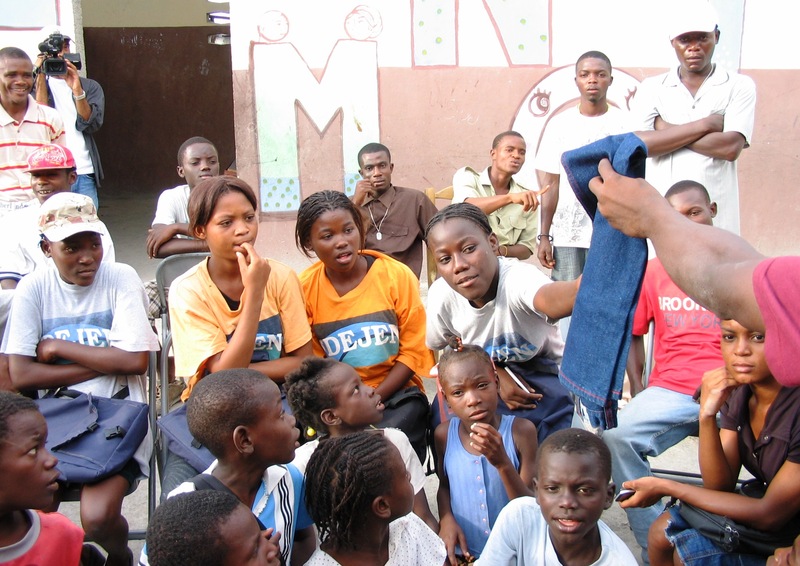 March, 2009– Before leaving for Haiti to produce a video for Friends of the Orphans, I viewed some of the client’s raw footage taken in Cite Soleil, the largest slum in Port au Prince and branded as the worst one in the world. In the video were many kids without clothes living in appalling squalor among sewage, rubble, mud, polluted water and garbage picked over by wild pigs. I decided the children could at least use T-shirts as simple protection against the harsh conditions, an article of clothing Americans have in abundance. A month earlier Ivan had donated bags of clothes to Caring Kitchen, which services the Haitian community in Delray Beach. I had given bags to Goodwill. 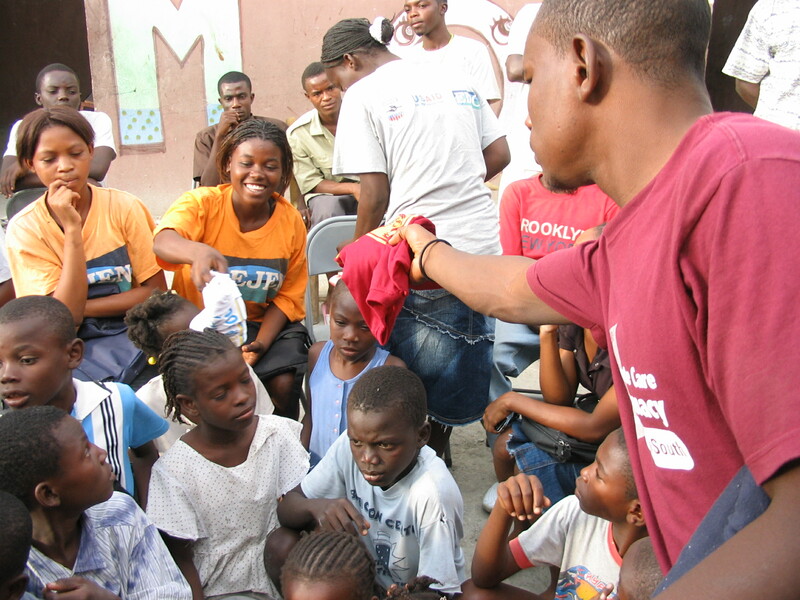 So I sent an e-mail to a few friends about collecting used, clean T-shirts in any size to bring with me and distribute to children in Haiti’s notorious slum. Within five days I received 205 T-shirts and 61 other clothing items that filled four hefty suitcases. In Ft. Lauderdale, Lisa packed a huge duffle bag suitcase. Kathy and Gabby gave enough bags to fill a suitcase of their own. Paul in Lake Worth donated a haul to fill another big one. In Deray Beach, Gloria, Charles, David, Annabeth and Marjorie donated the rest. TD bank in Delray and Boca donated 300 pens for the orphanage school. I was overwhelmed by the response in such short notice. The four full-sized suitcases were checked from Miami to Port au Prince on March 25 along with Darryl’s camera equipment. Fabi, our Haitian production assistant (coincidentally) and I had carry on cases, so we met the quota for checked luggage. To accommodate all our bags, the client arranged for their driver and bus to pick us up at the airport. We were driven to the client’s St. Damien Pediatric Hospital in Tabarre, an area in Port au Prince. There we videotaped the wonderful facility treating the sweetest and sickest youngsters. I interviewed Father Rick, the priest and doctor who established the facility along with schools in Cite Soleil and an impressive orphanage for 500 kids in the misty mountains of Kenscoff. It was still light when we finished videotaping at the hospital so Fr. Rick agreed to take us with suitcases to one of the schools he founded in Cite Soleil where I could distribute the T-shirts and take photos for the donors in Florida. St. Anne’s school is located on the perimeter of the slum, not deep inside where the video of naked children was shot. As deplorable as conditions are along the perimeter, these kids were wearing clothes. Conditions are worse and more dangerous deeper into the shantytown and Fr. Rick did not want us to go there. He does outreach work in the inner slum twice weekly, but felt it was not the right time for us to go. When the children saw five of us plus three suitcase carriers walking through their narrow, rocky “street” toward the school, they followed with great curiosity. Visitors, especially three Caucasians, are somewhat rare here. The kids were adorable, respectful and friendly. Fr. Rick warned that there would be a stampede if we opened the suitcases in the street, so staff carried them into the small school yard area then closed the large metal door to block the view and entrance. He had the children line up, letting a certain number inside while the next group were lined up. Then I unzipped one suitcase. Their eyes grew wide when they saw the treasure of clothes. Me and two staff members began handing out one T-shirt at a time. All the hands went up. Some kids got extra excited for certain colors, styles or items. We tried to give to each the item wanted the most. Soon the kids were rushing the suitcase rummaging through the clothes. We closed the case, Fabi told them in Creole to back up to where they were sitting and the cycle began again, then all over again with the next group of kids. When I got to the stack of Gene’s golf shirts, I held up a few and looked at Fr. Rick. They were his size and he was wearing a golf shirt. He said, “No, thanks, I have everything I need.” Later Jennifer told me she’s sure he only has the one he was wearing. Eventually we distributed the donations in three suitcases (the fourth one saved for the orphanage). During the commotion, Fabi had me hand over a stack of T-shirts from Delray Beach’s recent commission election. She disappeared with them into one of the school rooms then emerged asking me to quickly take a picture inside. A dozen adult students in class had put on the election T-shirts. The effect was much like a club shirt or school uniform. We headed back to the bus, children surrounding us smiling for the camera and making hand gestures, holding our hands or just gathering in curiosity. Although they appreciated the clothes, I still wanted to get more for the naked kids I saw on videotape in the inner slum. Fr. Rick said he’d see that any items I send get distributed there. Thank you all for your much needed and appreciated donations! The Haiti T-shirt drive did not end with you. Gayle from Henny Penny’s was in a meeting with Northwood University Professor Janice Scarinci in West Palm Beach and mentioned she had to leave and drop off T-shirts for Haiti. Dr. Scarinci wanted to know about this spontaneous T-shirt drive because she has a special empathy for Haiti’s children. She invited me to do a media presentation for her class, showing my photos and video of the T-shirt drive and the video I wrote/produced for Friends of the Orphans, Haiti. After the media presentation, Dr. Scarinci asked the class if they would like to duplicate my T-shirt drive, involving the entire college. The class was excited about the idea and the planning stage began right there in class. The drive was spearheaded by Anna, one of the students who said she was inspired by the presentation, the great need and the donation response I received from one e-mail to friends. With only two weeks left before graduation, the hotel and hospitality class of about12 seniors had to obtain college permission, design and distribute flyers and set logistics for the collection, counting and delivery of the clothes on campus. The goal of their year-end “Give the T-Shirt Off Your Back” drive was to collect 1,000 T-shirts for naked children living in Cite Soleil. By May 11, they had collected 1,330. Dr. Scarinci asked me to do another presentation on collection day for the general student body and staff. This time I brought Alfredo, a representative from Friends of the Orphans who manages the Miami-Haiti in-kind donations warehouse. Alfredo was an orphan who grew up in one of the homes supported by Friends of the Orphans. The students had lots of questions and were touched by his story. On May 16, students bagged and trucked 1,330 T-shirts down to the Miami warehouse. Alfredo will put them in a shipping container to Haiti where they will be received by the orphanage staff there and distributed by them to children in the poorest slum in the poorest country in the Western Hemisphere. I just saw a photo of the collapsed building in Petionville (a section of Port au Prince) where the camera crew and I stayed 10 months ago producing the video. Friends of the Orphans owned the building, which included a day care center for handicapped children and a “hotel” for visitors like us. This photo was taken of us in front of their building March, 2009. Now it’s gone. There but for the grace of God go I.
I saw on MSNBC that one of the schools in Cite Soleil established by Friends of the Orphans was destroyed along with the children in it. It was the very school where we distributed the T-shirts many of you had donated. I cannot comprehend that this school and the precious children are gone now! 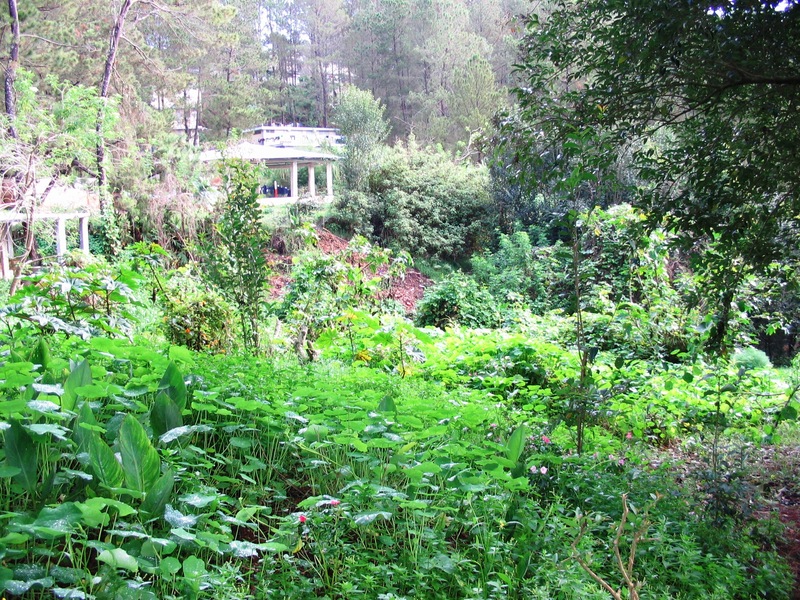 Located in the mountains, the orphanage received some structural damage but not extensive. 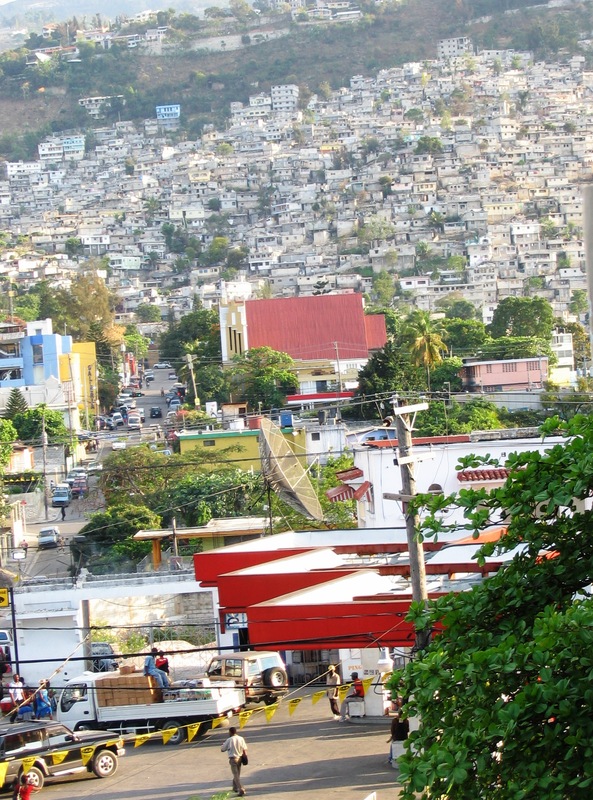 However, some employees who were working at sites in Port au Prince the day of the quake perished. Fabi, our Hatian production assistant, translated for us on the shoot. She worked part-time while in college then moved back to Haiti last month. I met her lovely parents while there. Her sister in Florida called the office to report that Fabi and her parents are OK but they could not locate all their relatives and learned that some died. No word if they are homeless.